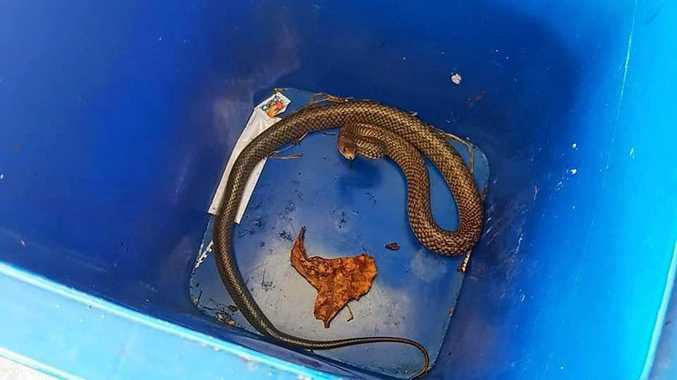 SUNSHINE Coast residents are being warned to always call a professional snake catcher, after a man unknowingly picked up the country's most deadly species of snake. 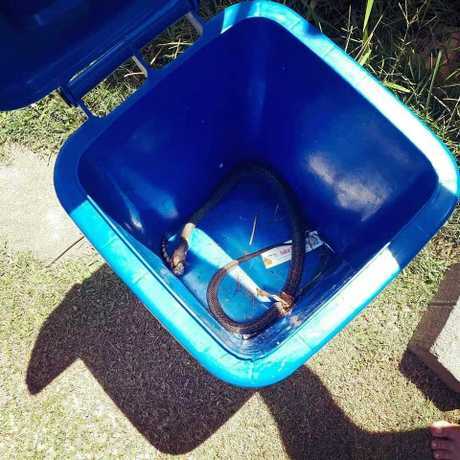 Stuart McKenzie from The Snake Catcher 24/7 - Sunshine Coast took to Facebook to warn people to never handle or pick up snakes themselves after the incident on Saturday. "This was a very close call," he said. "A young man had a snake at his home that was trying to eat a blue tongue lizard. 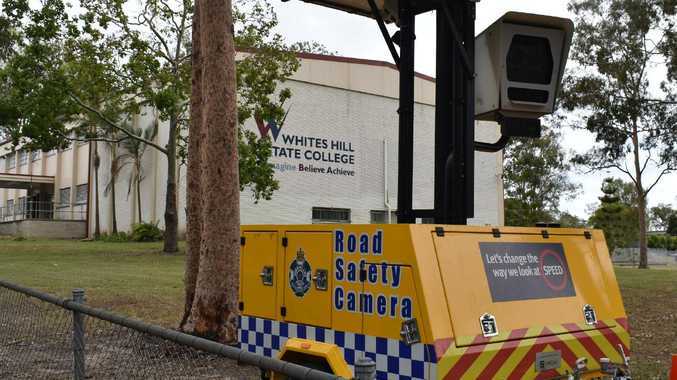 He thought it would be a good idea to grab the snake behind the head and put it in a kids' wheelie bin. "The first thing I said was 'how did the snake get in the bin? And do you know what kind of snake it is?'" The snake turned out to be a 4ft eastern brown snake, the world's second-most venomous species and the most dangerous in Australia. Mr McKenzie said the family had no idea what kind of snake it was before picking it up by the back of its head. "The guy was lucky to not be bitten," he said. "Please don't handle or pick up snakes, especially if you don't know what it is. "Leave it to the professionals." Mr McKenzie said the majority of snake bites happened when people did "silly" things like that. "If you have a snake in your yard and want it relocated or identified, call us first and don't try anything stupid," he said. The snake was relocated safely by Mr McKenzie. If you need a snake catcher, visit facebook.com/snakecatchersunshinecoast or call Mr McKenzie on 0408545440.